Quality Architectural Photography. Serving BC and Alberta, based in Kelowna. The challenge Shawn Talbot loves the most is to take a hotel marketing director’s vision and make it a reality. Shawn is one of the busiest commercial photographers in Canada. For nineteen years he has been going to extremes to capture the perfect shot and has won numerous international advertising awards. He has been recognized for his exceptional work by National Geographic, the Globe and Mail, the Smithsonian Institute and Maclean’s Magazine. He is currently featured in a documentary series about his work entitled 1 Stop Closer. Despite acceptance to a prestigious American university, Shawn instead chose to pursue eclectic photography and lighting training from numerous instructors at several universities across Canada; this is evidenced by the broad range of styles and techniques seen in his work. Shawn spent a number of years working as a director of photography in Vancouver, British Columbia on commercials, music videos and feature films while also freelancing as an advertising photographer. It was here that Shawn really honed his skills and talent for lighting. Not only is Shawn an experienced drone pilot, capturing world-class photographs and video from a bird’s eye perspective, he is also a pilot of light aircraft. This marriage of piloting skills, accompanied by the composition skills of an experienced photographer, make for the perfect combination when capturing aerial imagery of luxury hotels and resorts. Shawn has traveled to the furthest corners of the world photographing a wide variety of subjects, and those experiences inspire the fresh perspectives he brings to projects. His passion for his work and easy-going, friendly personality has turned many clients into lifelong business partners and friends. Dawn Meier of Sunrise Photography Company Ltd specializes in architectural, interiors, and real estate photography, and also creates abstract modern photography-based art. To view more residential projects, and commercial projects, visit the website at www.dawnmeierphotography.com. You've worked hard to make a space beautiful - photos are how you display your masterpiece to the world! 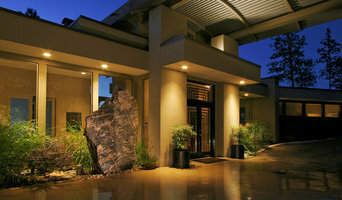 Dawn has a passion and a flair for capturing the statement you want to make with your building. 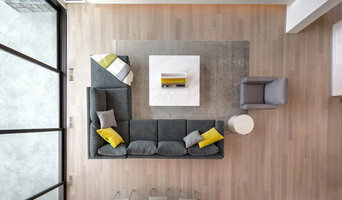 Using professional camera gear, top-quality lenses, the correct lighting and powerful editing software, Dawn makes your rooms as compelling and inviting as you've designed them to be. With a background as a certified interior decorator, she understands space, proportion, light and composition, and uses them to bring life to your space and make it look its best. Let Sunrise Photography Company Ltd. show off your stellar space! My love for photography has evolved over and over again throughout the years. Though one thing has remained constant, the motivation to ignite emotion from a single image. Try to think of one exceptional image in a magazine or on social media that doesn’t spark emotion, can’t do it can you! My motivation behind every click of the camera is to help stir up an emotion. It’s simple! A great image should create a feeling within the hearts of your target market. After all, it is emotion that motivates people to buy, consume or take part. A food shot should make the mouth water, a photo of a personal trainer should make you feel a sense of motivation to work out, a beautiful home or custom closet space should inspire you to live bigger, better and more contented, and a professional headshot should say exactly what the subject wants to be said about them. My 20 plus years of business experience in sales and marketing has sharpened a keen eye and expanded my sense of enthusiasm as a professional photographer. I’m intrigued with social communication and connection, so much so that it inspires me every day, and each one of my clients helps me to better understand the languages of photography. My purpose for all of it, CONNECTION of course! Matt Luas Szymkow is a Okanagan based photographer specializing in architecture, interiors, commercial spaces, as well as music, events and portraiture. A native of Winnipeg Manitoba, Matt studied Fine Art at the University of Manitoba before venturing out to Calgary, Alberta to continue his studies in the field of Architecture. Following completing his studies in Architecture Matt moved to the beautiful Okanagan Valley and now combines his studies in Fine Art and Architecture behind the lens. The combination of all mediums continues to be the perfect mix for Matt, as he continues his journey in the photography realm. Caroline Irvine of Picture It Sold Kelowna specializes in interiors, architectural and real estate photography in the Okanagan Region. I love collaborating with clients to create compelling images of beautifully designed spaces. Using professional photography equipment and combining natural and artificial light to capture high quality images, I then use advanced editing techniques to make them pop. I currently live in West Kelowna with my partner Aaron and our Australian Shepherd, Cedar. I am a rock climber, skier, and love spending time in the mountains seeking out challenge and adventure. I love to travel and have visited over 30 countries for study, work, and play. Lipsett Photography Group specializes in architecture, interior design and landscape photography. I am very proud to have photographed a number of projects for leading edge designers and exacting builders that have contributed to them winning numerous building and design awards. It is a wonderful feeling to help my clients work shine. Epidemic Media is a photography company stationed in Kelowna BC. 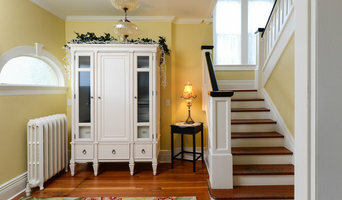 We create professional real estate, architectural, and commercial photography. Our goal is to create imagery that captivates your audience. 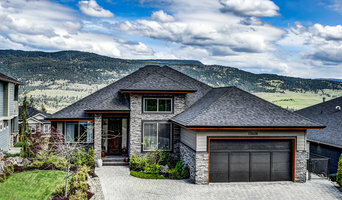 Lioness Photography specializes in providing quality photography and marketing answers for Real Estate Agents in the Okanagan. My focus at all times is great service and beautiful high-quality photos that are guaranteed to please home owners and your clients. Specializing in real estate & architectural photography, video, 3D scanning, measuring for as-built floor plans and marketing for home sales, rentals and business. We ONLY do real estate and we're the best at it. Kelowna based photographer, graduate of New York Institute Professional Photography. Real Estate, Architectural,landscape, Interior Design, corporate head shots/portraits (studio or enviromental), pet portraits. Professional Visual Media for all of your compnay and personal requirements. In business since 1991 worldwide experience. Providing media services for individuals and companies in British Columbia, centred around the Okanagan Valley. Before you call any potential photographers, make sure they have good references. Friends who've sold or rented homes before are great resources, as are local real estate agents. Look through each British Columbia photographer's online portfolio to make sure what you're looking for is being offered. Once you've done that, it's a good idea to walk around your home and write down exactly how many and what types of shots you'll need. Include any specifications you might have, such as angles, things to consider about your home’s Summerland, BC site, the time of day you think will be best and aspects of your home you want to highlight. Find a home photographer on Houzz. Narrow your search in the Professionals section of the website to Summerland, BC photographers. You can also look through Summerland, BC photos by style to find a room you like, then contact the professional who photographed it.